Treatment and management of diabetes related foot conditions. Type 1 diabetes is an autoimmune disease that usually occurs in childhood but can be diagnosed at any age. The initial cause of this autoimmune disease remains unknown. However, the immune system mistakes it own cells as foreign and destroyed the pancreatic beta cells that are responsible for producing insulin. Insulin is very important as it allows the body to process sugar and use this as an energy source. Without insulin the sugar builds up in the bloodstream causing a series of complications. Insulin therapy is always required with type 1 diabetes, as the pancreas no longer produces any of its own. 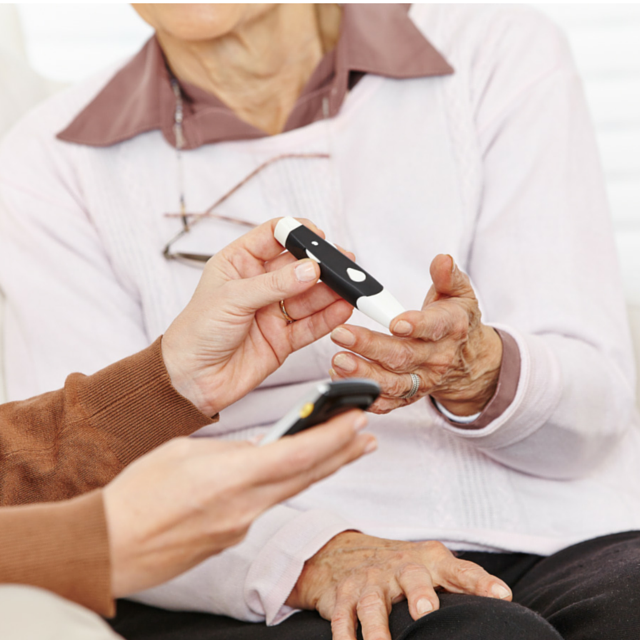 Insulin levels must be carefully monitored by the treating GP or specialist to make sure that units of insulin are sufficient for regulating the sugar level in the blood. Automimmune, exact cause still unknown. Direct injury or trauma to pancrease. Immediate treatment with insulin to control blood sugar level (BSL) between 4-8mmol/L with a specific diet and exercise regime. Diabetes can lead to increased risk of infection, sensation loss and reduced circulation especially in the feet. The combination of numb, insensitive feet (neuropathy) and poor circulation means cuts or injuries may go unnoticed and progress to infected ulcers that may heal poorly. The podiatrist at Well Heeled Podiatry will educate you about monitoring for infection, giving you extensive education on diabetes and foot related risks. They will provide you with advice on daily diabetic foot care and preventative strategies for diabetes related foot complications.